This year we sent a team of #luxusheroes to explore two of the most important annual tech-centric conferences in Europe: Web Summit and Slush. Mikko, Juho and Markus packed their bags and headed out to be awed and inspired. This year we sent a special team of #luxusheroes to explore two of the most important annual tech-centric conferences in Europe: Web Summit and Slush. Juho Wallenius, Markus Jönsson and I packed our bags and headed out to be awed and inspired. While both Web Summit and Slush are primarily start-up conferences, their scale and focus areas are somewhat different. 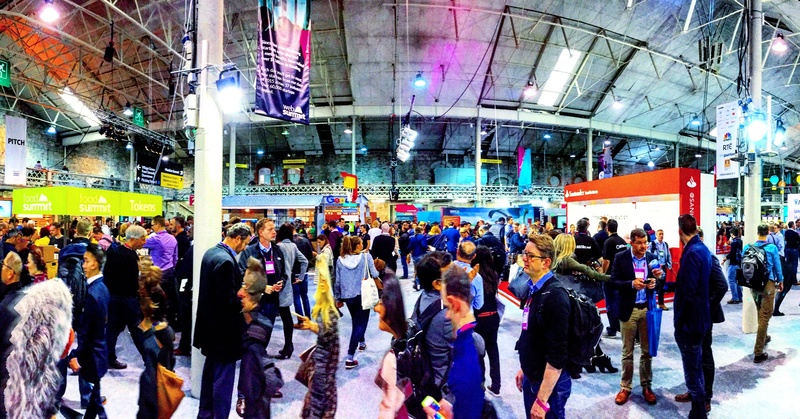 Web Summit is for start-ups only and it attracted around 42 000 people this year. Web Summit has an underground kind of feel and focuses almost exclusively on digital and internet technology and its application. 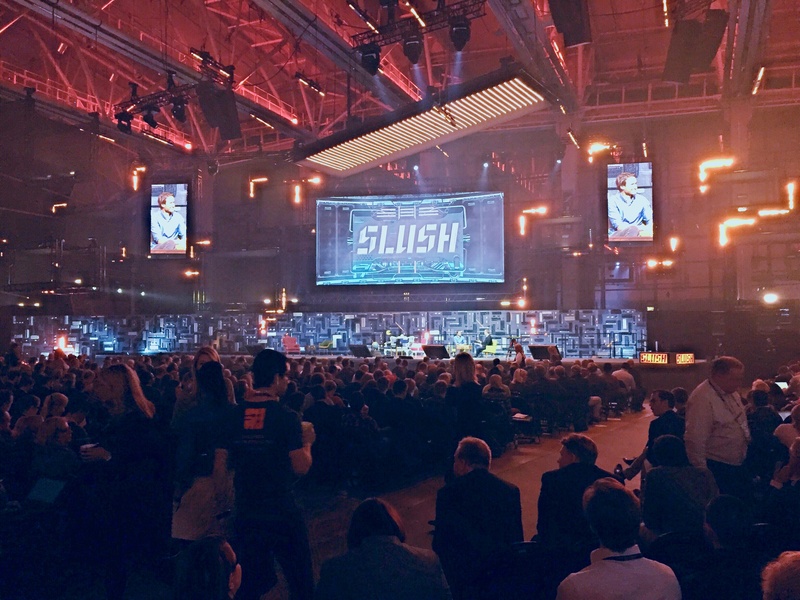 In contrast, while smaller with about 15 000 attendees, Slush covers everything from games to start-up legal services to cleantech. Slush is also more of a B2B event with a strong corporate and investor presence, which we could see in, for example, the more formal dress code. Once we had returned, we decided to put together a brief summary of Web Summit, Slush, and the highlights of each, and share them with you here. The Internet of things (IoT) was one of the hottest topics this year, with the main focus areas involving connectivity, new contexts for IoT devices, and control interfaces for connected devices. User interface design is becoming ever more important. It takes a great company to be able to make a UI so completely functional and easy to use that it almost disappears. A good example was a new door lock from Lockitron that uses your phone’s authenticated Bluetooth connection to sense when you’re nearby and unlock the door for you. There is no comparable technology that immerses the user in the same way as VR and which involves so many of our senses. Right now, many larger retailers are looking at VR as a way of communicating products that are otherwise hard to imagine, such as interior design. With so many refugees currently coming to Europe, there were discussions about how they use technology – smartphones are their single most important tool. In addition, existing apps are being re-purposed and big tech companies like Google and SAP are helping to develop new applications, too. Not too surprisingly there was a big buzz around wearables, but mainly for MedTech products. We think it’s inevitable that we’ll see more of these in the future, and that they’ll simply become part of our everyday technology. The majority of companies attending were a bit more mature than you might expect for a start-up event, and many already had existing products and client portfolios. While it’s encouraging that these companies have been able to secure funding for several years, it’s also important to provide room for new ventures. While Web Summit had clear focus areas, Slush was packed with different ideas, with everything happily mashed together. If you looked closely, there was always something that might float your boat. There were many enterprises and corporations welcoming innovators and start-ups with open arms. Finnair (Finland’s national airline) organized a hackathon and in return got a virtual reality app to help people who suffer from a fear of flying. Kone (the elevator giant) offered API’s to developers to encourage the creation of third party applications that enhance the elevator experience. The most interesting pitch we saw was from the start-up Velmenni who use visible light to transfer data at high speed. It sounds like Sci-Fi but for these guys it’s reality. A start-up from Korea demonstrated a transparent display that could be used for many commercial applications, for example as a store front window that augments window shopping. As at Web Summit, AR and VR were promoted in many shapes and forms. The most interesting piece of tech was a platform that stitches together a 360° video in real time. This year Slush expanded to other territories and sister events were held, for example, in China. Slush has been an ever-growing success and we hope the expansion doesn’t dilute the focus of the main event. The IoT is here to stay, and we're looking forward to seeing how it fits into smart homes. Next level of the UX planning is to try to minimize the existence of the whole UI. There will be a huge increase in the adoption of VR in the coming year, both for the mass market and more specialised customers. Many new start-ups will be set up by former refugees in the coming years, bringing new people and ideas to the start-up scene. The hype around wearables might cool down, and the most usefull applications will soon become everyday. Of course, there was much more to see, experience and think about than one blog post can tell you about, so if you want to know more you can explore the official event pages - see the links below. Let’s see how our predictions and the future actually unfolded at the same time next year!